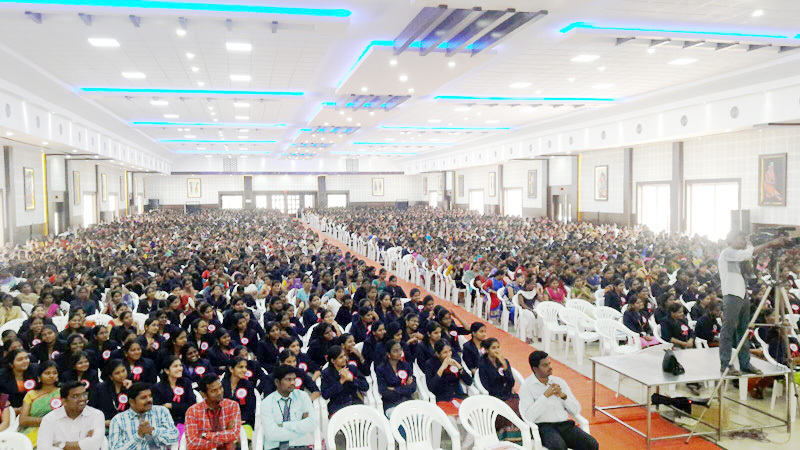 It is to increase awareness of competition exam on an individual human scale, and offer equally simple solutions for success in those exams, which offer unique coaching for TNPSC Group 1, TNPSC Group 2, TNPSC Group 4, TNPSC VAO Exam, DEO Exam, AE Exam, POLICE, CA-CPT, IAS, IBPS(Bank Exam), RRB, SSC, SPOKEN ENGLISH, SCHOOL and COLLEGE ACCOUNTS. 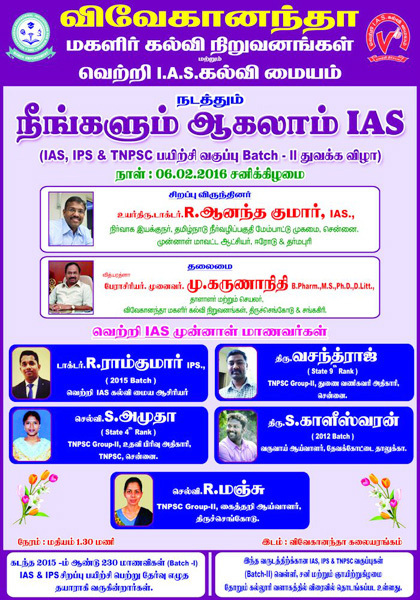 We offer intensive and quality coaching Through VETRI IAS STUDY CIRCLE to students appearing for civil service examination conducted by the Union Public Service Commission and the Group I and II examination conducted by TNPSC at the Preliminary, Mains and Interview level. 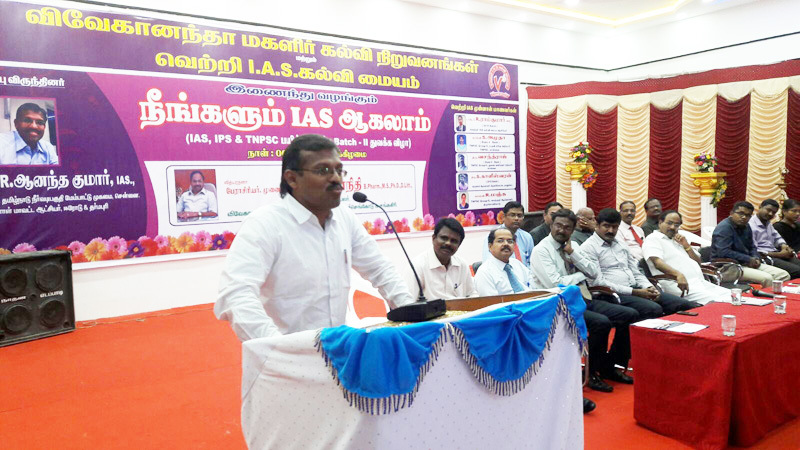 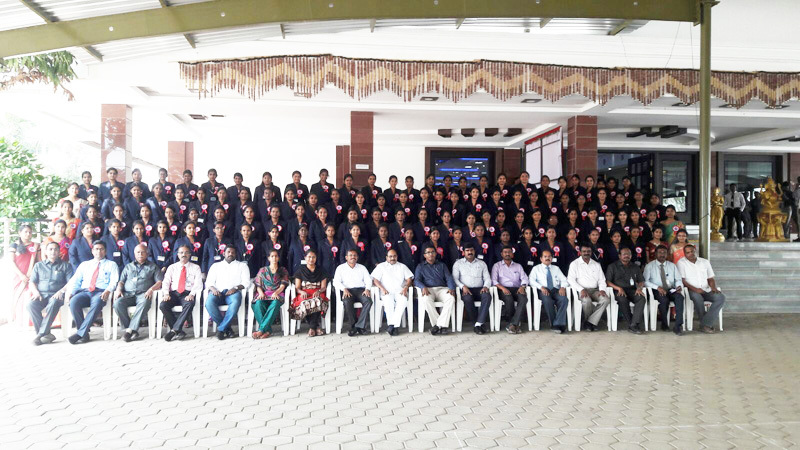 VIVEKANANDHA - VETRI IAS academy coaching centre is a committed team of faculty who have been involved in Civil Service preparation for the past “10 YEARS” and have been instrumental for the success of many candidates in their Civil Service exam Preparation.